Julian Checkley is one of the best Star Wars cosplayers on the planet. He is also, as luck would have it, one of the best Batman cosplayers on the planet as well. 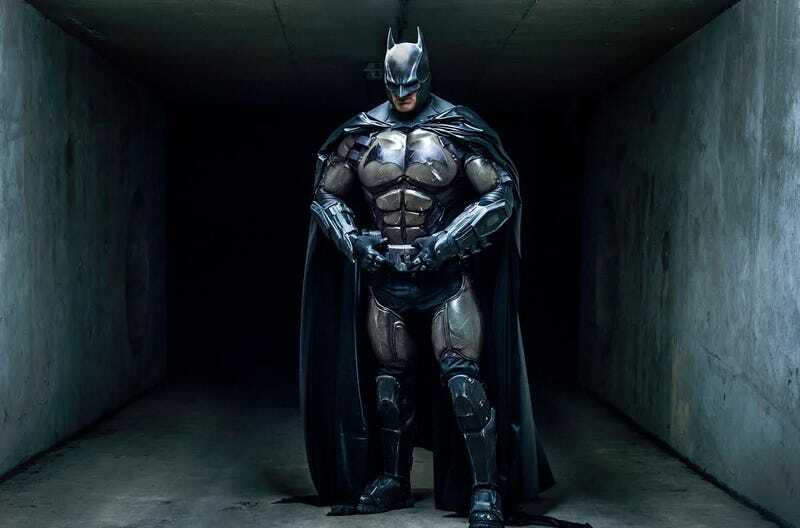 We’ve seen him do an amazing Bane (WARNING: link promotes my cosplay book), but in honour of the Batman video games he decided to switch sides and cosplay as Batman himself (specifically, his suit design from the Arkham Origins video game). Batman’s wrist computer displays a loop of the sonar pings from detective mode! Photos by Kamil Krawczak, 3D printing by Kevin LeProp.